Do customers want virtual agents that can perfectly mimic the human voice? Maybe. Our writers set out to find out what customers actually want from contact centers. According to a PWC report, nearly 80% of the American consumers interviewed say that speed, convenience, knowledgeable help and friendly service are the most important elements of a positive customer experience. Automation, atmosphere and up-to-date technology fall lower down the list. So, while we won’t argue that incorporating VR or AR capabilities into your app or knowledge base is not incredibly cool, being able to try on items in a virtual changing room is not going to matter if your customer can’t get hold of your accounts department when they have been accidentally double billed. Focus on delivering excellent, consistent service. Worry about the bells and whistles later. Customers do not have time to wait. No one does. If possible, make common solutions to queries easy to find on your website, whether through FAQs, tutorials or a self-help portal. Have your web chat pop-ups and prepared responses handy for any queries not included in the above. We know that self-service has a high success rate with customers – as we reported in this blog. But what if there is not a quick and easy fix online? How easy is it to get in touch with you? Customer journey mapping, people. We have sung its praises many times, for good reason. Look at your data, identify your customers’ preferred touchpoints and make sure you are geared to handle queries quickly and effectively. Customers want their issues resolved in under four hours. If you can manage that, you are already winning. Customers want to matter. If a customer experiences the same frustrations over and over again, you are pretty much telling them you have not been listening. Here is some advice. Ask them. There is no point investing buckets of money into new technology or undergoing a full digital transformation when you have not asked your customers what would make their experience better. Look at your customer feedback and surveys and identify what makes your customers unhappy, whether it is bad service, hold time, unavailable products or features, unresolved issues etc. Once you have done that, here is your next task – get to know them. Different generations value different things. For example, Baby Boomers may place trust and loyalty above new tech, while Millennials are looking for a seamless mobile experience. (More on that below). You need to know what your customers want before you can give it to them. Unless you encounter a random traveler in the street, everyone you meet will have a smartphone. According to Forbes, people check their phones every 15 minutes. They do their banking on them, book travel, read the news, watch movies and manage their social media platforms. Think about it, if a customer needs to get in touch with a brand, they are not miraculously going to log in to their desktop to it. Chances are they are going to try their smartphone first. Wouldn’t you? If you have put all your efforts into optimizing your website for desktop users and none for mobile users, that is an immediate problem. Your site should load as quickly on a phone and web chat should be fully functional. 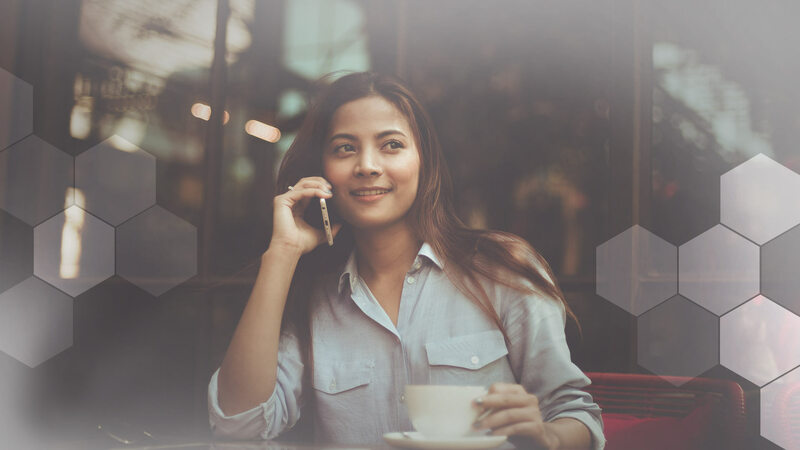 Before investing in the latest must-have disruptive technology, make sure your contact center and all your touchpoints are fully optimized towards mobile phones. It is the closest you are going to get to your customers next to actually standing in front of them. Repeat the following: smartphones first, desktop second. Now that we have established that customers actually do engage with companies on their phones, ask yourself if you have mapped out the journey of mobile users? Next question. Is it a frictionless experience? If a customer reaches out to you on Twitter or Facebook, what is the turnaround time of your response? If that customer ends up calling your contact center anyway, will your agents be aware of that earlier interaction? Here is a pro tip: do not separate your channels. Convenience and seamless go hand in hand. And by seamless we mean a seamless flow between all your channels. Look at your CRM system, your omnichannel tools, your CCaaS client. Every single element of your contact center should be geared around making it as easy for your customers to engage with you as possible. We are a huge advocate of innovation. After all, everything we do at ZaiLab is centered around machine learning. But remember one thing. You can look to the clouds all you want, but never forget your customers down on earth. Without them, you are only innovating for your own benefit. Like this? Read our blog about why customer delight is the key to any customer experience (CX) strategy.